The Small Demonstration Satellite (SDS) program aims to improve the reliability of practical artificial satellites by demonstrating a wide range of new space technologies covering everything from equipment and element to system engineering. Small DemonstrationSatellites are able to be developed quickly and inexpensively compared with large satellites. This is quite useful, as it allows aerospace researchers to demonstrate and experiment with various technologies in orbit within short time frames. System design, integration and testing of the SDS program are carried in-house by JAXA researchers. These activities contribute to improving system engineering skills and other abilities of young engineers. 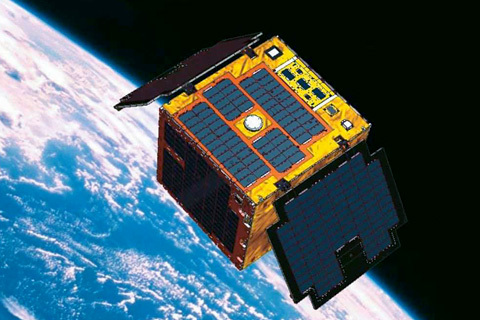 SDS-1 was launched as a sub-satellite of the Greenhouse Gases Observing Satellite (GOSAT) with H-IIA Launch Vehicle No. 15. The JAXA Aerospace Research and Development derectorate plans to serialize 100kg-class small demonstration satellites with SDS-1 as the forerunner.